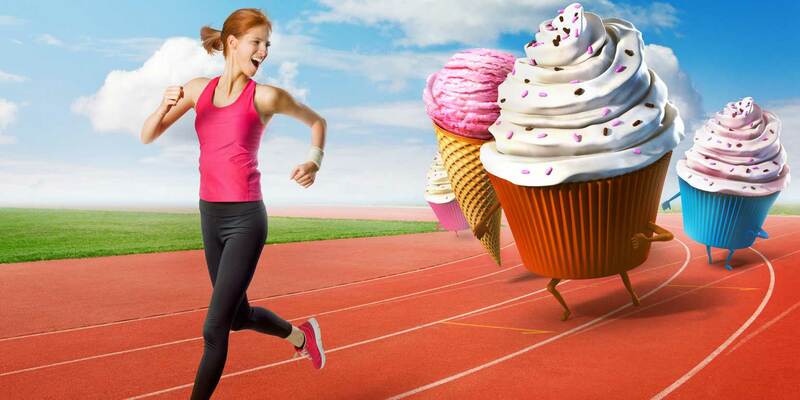 Kids, Eat All the Junk Food You Like— Just Go Jogging for Three or Four Hours Every Day! It’s amazing how much influence ten million dollars will buy. We recently told you about Coca-Cola’s pet project, the Global Energy Balance Network (GEBN)—a nonprofit that claimed to fund research into causes of obesity, but instead promoted the idea that lack of exercise, not bad diet, is primarily responsible for the obesity epidemic. GEBN used code words like “energy balance” because they looked solely at calories consumed vs. calories expended, whereas natural health is founded on the premise that paying attention to the content of those calories is vital to both health and weight management. Through the GEBN, Coca-Cola could continue to peddle its sugary sodas without worrying about the damage it is doing to the health of its consumers. This fundamentally flawed idea was also picked up in Michele Obama’s school lunch program, which is why portions were so conspicuously downsized. Mrs. Obama may have known better than to think that obesity was just a matter of too many calories, but if so, Big Food’s political influence effectively gagged her. Now we’ve learned that GEBN has been disbanded due to “resource limitations.” GEBN’s announcement followed hard on the heels of the resignation of Coke’s science and health officer, Rhona Applebaum, amid the email scandal we reported. So far, so good. But that doesn’t mean that Big Food’s phony science has been put to rest. Using the same approach—but doing it with much more money—is a group called the Healthy Weight Commitment Foundation (HWCF), and like GEBN, it’s a nonprofit that is completely funded and run by junk food companies (though this one has an annual budget of $10 million). The CEO of PepsiCo also serves as CEO for this foundation; on its board of directors are the CEOs of Kellogg, Hershey, Nestle USA, Coca-Cola, Unilever, Smucker, and General Mills. In the first lesson, elementary schoolers learn that anything and everything takes energy, from playing sports to doing homework. Teachers are instructed to ask how much you would need to eat or drink in order to “balance shooting baskets for 30 minutes.” Calories in, calories out. The HWCF is promoting its energy balance programs everywhere—including the Girl Scouts (all 1.7 million of them), the national PTA association, and Head Start—with compensated Mommy bloggers joining in as well. This “energy balance” notion has been part of the junk food landscape for over a decade, with McDonald’s, Taco Bell, Pizza Hut, and KFC all promising that consumers can eat whatever highly processed fast food they want, so long as they burn enough calories to compensate. Not a single one tells the truth: that science has shown again and again and again that all calories are not created equal—that the source and quality of those calories is critical. And of course the calories-in-calories-out crowd pretend that GMOs are no more harmful than anything else in their processed junk food paradise. They think you can eat all your calories in burgers, fries, and shakes, and so long as you exercise enough to burn off all those calories. Barry Popkin, who established the Division of Nutrition Epidemiology at the University of North Carolina–Chapel Hill, is a critic of the HWCF, and has done a careful scientific evaluation of the foundation’s approach. According to Popkin, “We’ll never be able to move enough to offset one or two Cokes a day.” His research has found that roughly 60 percent of the American population consumes the equivalent of a Coke per day in sugary beverages—though adults tend to prefer sugar-heavy lattes and energy drinks. For a 60-pound child, working off the calories in a Coke means jogging for more than an hour. And that’s just for a single cola. What of the calories from a Happy Meal or a KFC box? How many more hours of jogging are required? And of course jogging won’t fix the central problem, which is that the body is being flooded with fructose, something that nature never intended or anticipated. The junk food industry is using childhood obesity (and obesity in general) as a way to make their own consumers feel guiltier than they already do. “It’s not our ‘food’ that’s making you fat—you’re just not exercising enough!” True: we, as a nation, may not be exercising enough. What’s also true is that their sugary drinks, damaged fats, and GMO-laden foods are slowly poisoning us, no matter how many calories we burn. One bright spot: food manufacturers will listen to their consumers and change their ways—as we reported last week—if we continue to vote with our dollars. They can’t sell what we won’t buy.